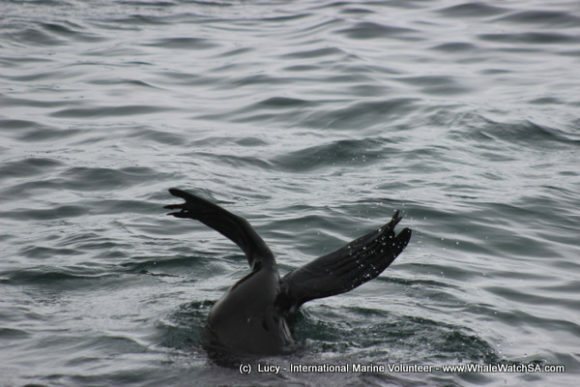 We had another great Marine Big 5 tour today. 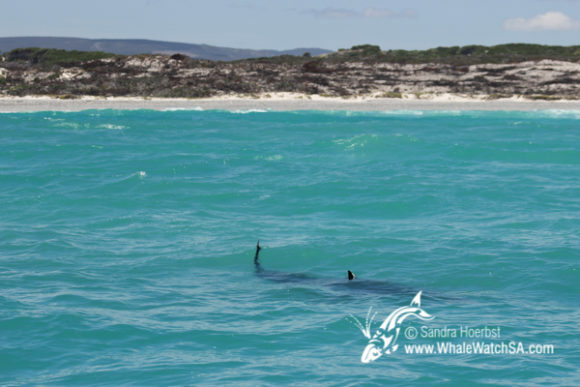 Our first sighting for the day was a Great White shark in ‘the shallows’, it was impressive to see the four meter animal cruising along the beach. 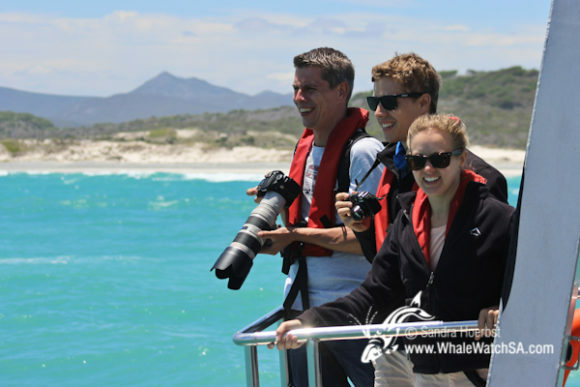 Just after that we had a quick stop at the cage diving vessels were we got to see another Great White shark. 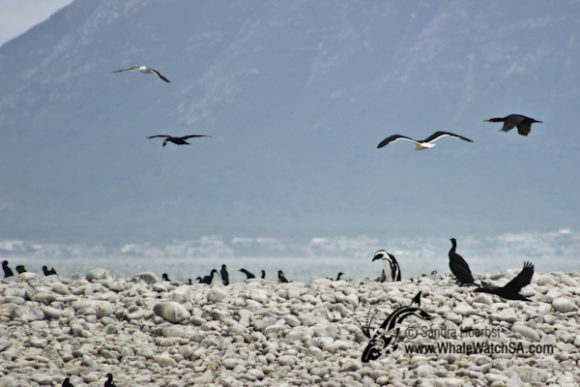 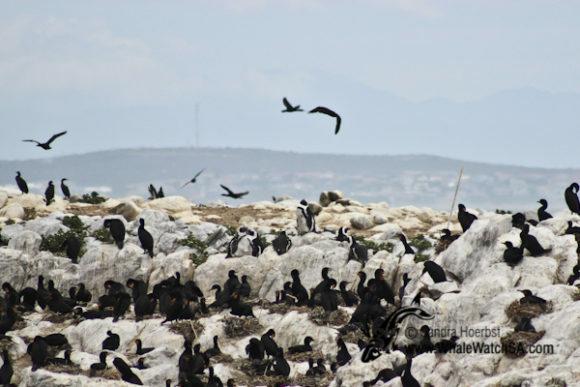 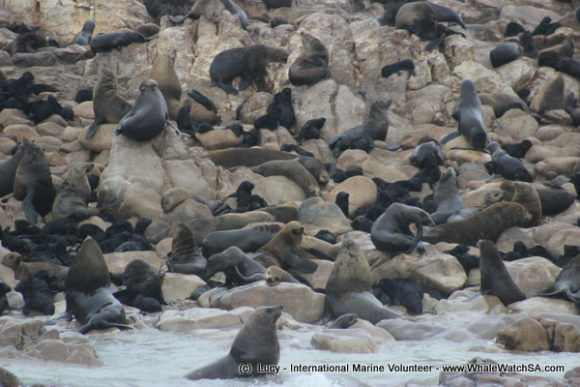 We have been lucky today and got to see a few African penguins between all the breeding Cape cormorants and before heading back to the Kleinbaai harbour we passed the Cape Fur seal colony.